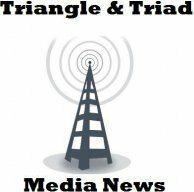 TriangleTriadMediaNews had the most liked content! I remember for a year or so, KWGN ran with that awful "2 The Deuce" "hip" branding. It wasn't hip, it was stupid. https://www.newsobserver.com/news/local/article228837599.html?fbclid=IwAR2XSLvnod05EywzFlv-uqZFKncJDhkNoa4_JepnpYPY9r62_5aQKqy_yTw&fbclid=IwAR14djG17XK3DpI86NSv4HsAyHbiUCHtjZpciLTxnnw54SFf443NyW8afpY Yet another departure at WRAL due to a "personnel matter".... what the hell is going on? Know of any other affiliates? So once this launches, WTTG will air weekday news from 4am-11am, 4pm-7:30pm, 8pm-8:30pm (via WDCA), 9pm-9:30pm (via WDCA), and 10pm-midnight. That's damn near the level of KTLA. From WJLA's Sam Ford: Lo I remember watching John's reports as a kid, he was mainly on the automotive beat. Dress Larry up as Bozo and have Robin as his straight-laced sidekick. Johnny Holliday and Ray Knight are no longer part of MASN's pre/post game coverage for the Nats. Former field-level reporter Dan Kolko was bumped up to co-host with Bo Porter. Replacing Kolko on the field will be Alex Chappell. She previously worked for ESPN & the SEC Network covering college football, as well as a similar position with Fox Sports Sun covering the Tampa Bay Rays under her maiden name Alex Corddry. WRAL meteorologist Greg Fishel out in reported "personal matter"